Most often, people's frustration and frayed nerves can be turned to good mood or be eased, at least, after watching funny stupid videos, of eithrt people or animals. And that's how stupid videos get popular. To save your time on searching, here we collect a list of YouTube top funny stupid videos and also present you a tutorial of how to download stupid videos from YouTube to gadgets like iPhone 6. How to Free Download YouTube Stupid Videos? Free download funny stupid videos from YouTube. 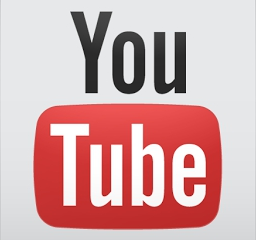 Download and convert YouTube stupid videos to iPhone 6/Plus. I believe after all these years hanging out on YouTube, you must know that YouTube videos cannot be downloaded directly, let alone being played back on iPhone 6 (Plus). So what you are gonna have to do is to find a third-party YouTube downloading software, most of all safe and ease-to-use, to download YouTube stupid videos first and then transfer those funny stupid video compilations to iPhone 6. Check out the iPhone 6 (Plus) supported video format before the conversion. So here comes the problem. Which YouTube downloader is well-reputed and good to use? If you are going to free download stupid videos from YouTube for playing on PC or Mac, WinX YouTube Downloader is the right one. If you are dreamed of downloading and converting top stupid videos 2014 compilation from YouTube to playback on iPhone 6 without a potential tiny risk of degrading video quality, try WinX HD Video Converter Deluxe. We have an example of how to download YouTube stupid videos to iPhone 6. Ok here we go, the funny stupid videos can be downloaded easily to your iPhone 6 and 6 Plus with this handful all-in-one software, working as a YouTube downloader and HD video converter at the same time. 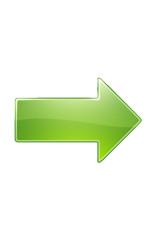 First download the video converter on your PC or Mac. Step 1: Go to youtube.com, do a search of "stupid videos", and choose one of them listed there. Step 2: Launch WinX HD Video Converter Deluxe and press button "YouTube URL". Generally, the URL of the stupid video will be detected automatically. Or copy and paste the URL by yourself. Then click to "Analyze" it. Step 3: Choose one of the resolutions and formats. To download stupid videos from YouTube to iPhone 6, tick the button "Auto convert" and then you are going to set up the output device. 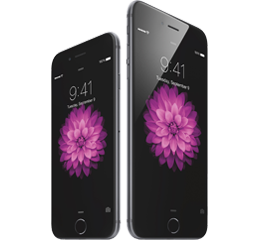 Choose Apple Device ->- to iPhone Video ->- iPhone 6, Plus (MPEG4/H264). Step 4: Tap button "RUN" and the downloading and converting process starts. If you need to convert video to the best video size for YouTube uploading or set audio video parameters, please turn to WinX HD Video Converter Deluxe.